While New York Fashion Week is in full swing here in the good ole' US of A, the Venice Film Festival marches on—and so do the stars! The red carpet has been buzzing with appearances by Selena Gomez, James Franco, and Vanessa Hudgens who were all present for the premiere of their film Spring Breakers. Click through the gallery below to see who else has been shining bright on the red carpet in the most romantic city in the world! Venice Film Festival: Keira, Abbie and More! Venice Film Festival: Gwyneth, Keira and More! Selena Gomez's Erin Fetherston Dress: Win a Sketch + Gift Card! 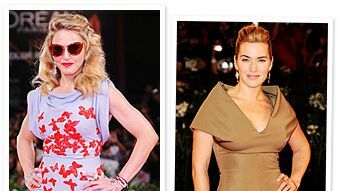 Venice Film Festival: Kate, Madonna, and More!